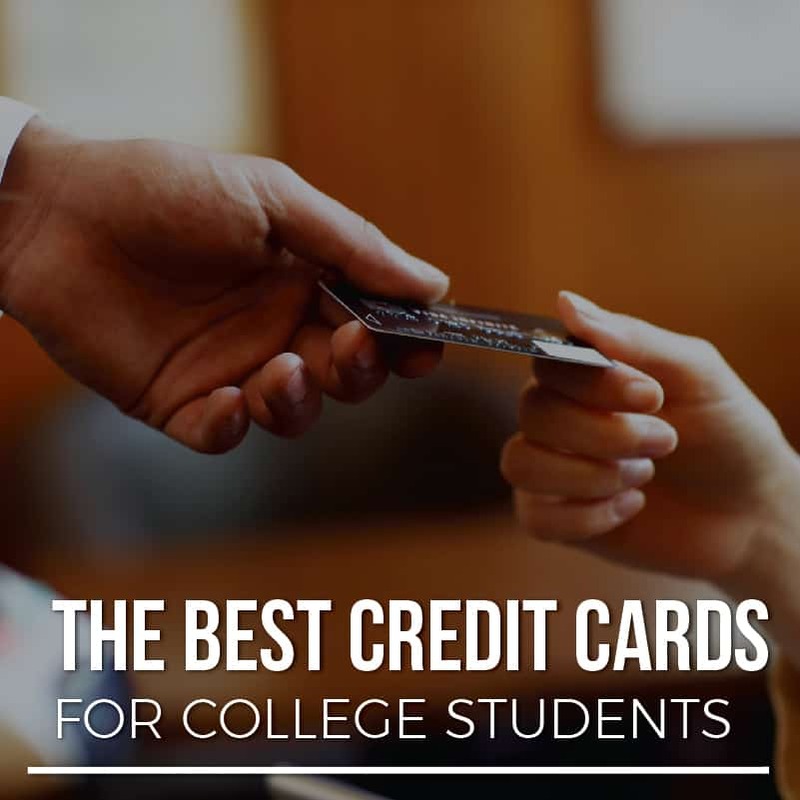 The best credit cards for students are credit cards that allow students, who may have limited credit histories and incomes, awesome perks for their spending. When it comes to comparing these cards, we like to see cards that have $0 annual fee, low APRs, and reasonable credit history requirements. No matter which path you take, building an excellent credit history is key for many of life's future financial choices: buying a car, buying a house, getting a job, renting an apartment. The list goes on. A great student credit card (used responsibly) will allow you to build the credit history you need. Plus, it helps to earn some rewards in the process. No Annual Fees - For many college students, there simply won't be enough rewards or spending that could justify an annual fee. Look for credit cards that offer no annual fee to avoid wasting money. Lowest Possible Interest Rate - Remember, credit card companies make most of their money on credit card interest. This is the money you pay when you don't pay your balance in full each month. First, don't carry a credit card balance (that's a topic for a whole other article). But if you do, make sure that you find a card that has a low interest rate. Solid Rewards Program - Look for a credit card that has a solid rewards program for what you're spending money on and what you value. There is no right or wrong answer here. If you value travel, consider getting a travel rewards credit card. If you have no preference, maybe consider a cash back credit card. You can also look for credit cards that give bonuses for certain spending - this could help you earn rewards faster. If you only intend to use the credit card for emergencies, consider something simple that has no fees with a low interest rate. 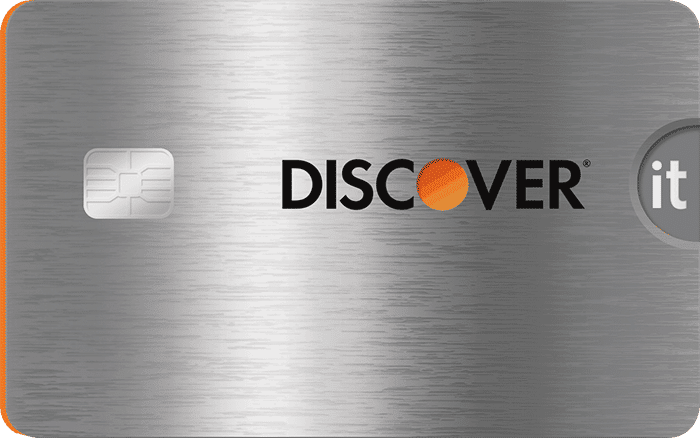 Based on the criteria above, here is our picks for the best student credit cards. 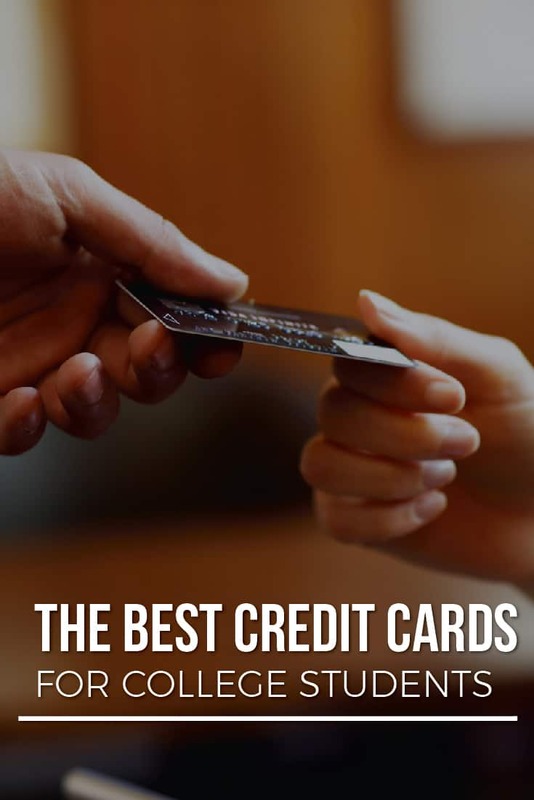 Remember, these credit cards give students a better chance of approval versus traditional credit cards because the card companies know that you are a student. That means they are more willing to accept a non-existent credit history, and other factors. 2% cash back at restaurants and gas stations on up to $1,000 in combined purchases every quarter - no sign-ups needed. 1% cash back on all your other purchases. ​Student credit cards are a great, low risk way for college students to start building credit and earning rewards. When you're first starting out, it may not seem like a big deal to get a credit card and use it responsibility. However, once you graduate, you'll wish you had built your credit up early. No matter what card you get, it is essential that you use your credit card responsibility. ​Don't go into debt, pay off your balance in full each month, and track your spending using one of the free financial tools we recommend. If you use credit cards responsibly, you'll build credit and reap the rewards.